We offer a convenient location and schedule for you and your child. At Norbeck Montessori in Rockville, we know just how busy life as a parent can be! Between your work schedule, running errands, and getting things done around the house, you need a preschool and kindergarten that offers a convenient location and schedule. Our Rockville Montessori school offers all that, plus all of the benefits of a Montessori education! Norbeck Montessori offers a variety of programs to suit you and your child’s needs, all while providing a high-quality Montessori education. 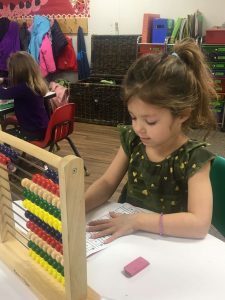 Our convenient Extended Day Montessori option is from 7 a.m. to 6 p.m. At Norbeck Montessori, we are able to provide the flexible environment parents need with the independent, nurturing learning environment children love! Want to learn more about how Norbeck Montessori can work for you? Call 301-924-4233 today! Rockville daycares and preschools both provide childcare, but with different guiding philosophies. Preschools are more learning-oriented and help promote your child’s development beyond just looking after his or her well-being. 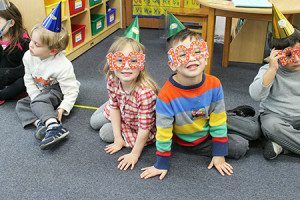 While Rockville area daycares offer childcare and socialization, preschools offer that and more. Great preschool programs have a thorough curriculum that helps children develop their basic attitudes and values about life and learning. The goal of our Rockville preschool is to help your child grow, discover, learn, and to develop the skills needed to be successful in their school-age years and beyond. Call 301-924-4233 to talk to our Montessori team! 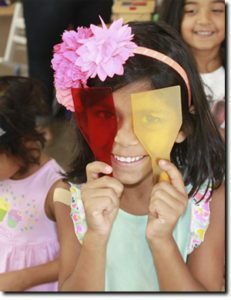 When it comes to early childhood education, Norbeck Montessori takes it a step further than traditional preschools. We go beyond simple before and after school care and help mold your child’s natural curiosity and love of learning. Here in Rockville, we go beyond simple childcare and instruct children in the areas of Practical Life skills, Language Arts, Mathematics, History, Geography, and so much more. Not only do children get to develop social skills with children both older and younger, but our preschool and kindergarten students learn independence and coordination through an individualized learning plan specific to their needs. We provide a safe, loving, nurturing environment for your child to be a positive influence on the development of positive attitudes in learning and life! Philosophy on childcare. At our Rockville preschool and Kindergarten, we offer a discovery-based Montessori curriculum where the lessons build upon the individual skills and knowledge children acquire at each level. Our holistic learning approach offers structure without strict drill-and-practice teaching, which develops a love of learning. Licenses and accreditation. The state of Maryland recognizes Norbeck Montessori as a private Montessori school. The instructional program of Norbeck Montessori is fully accredited by the Maryland State Board of Education and the child care program is licensed by the Maryland Office of Child Care. All of our Rockville Montessori teachers have Bachelor’s degrees and have received the Montessori Credential from an accredited Montessori Institute and have been carefully selected for their warm, nurturing temperaments. We have a low student-teacher ratio to ensure each child’s unique potential can be reached at his or her own pace. Ability to tour. We think the best way for you to get to know Norbeck Montessori is to come visit us in action! Schedule a tour of our Montessori preschool and kindergarten for an in-depth overview of our programs and classrooms. Extracurricular activities. After an exciting day of learning, our Rockville preschool and kindergarten students have the opportunity to explore new interests through several extracurricular activities. Potty training requirements. In Rockville, our toddler level children do not need to be potty trained. However, if your child is three or older, they must be fully potty trained in order to enter our Primary Program. Norbeck Montessori has been trusted by Rockville parents for over 40 years! Read what parents have to say. Although our Montessori school is located in Rockville, we have Extended Day students who come from surrounding areas, including Aspen Hill, Colesville, Gaithersburg, Glenmont, Norbeck, Olney, Shady Grove, Silver Spring, Wheaton, and nearby areas of Montgomery County. See how Norbeck Montessori goes beyond simple childcare in Rockville. Schedule a tour today or call 301-924-4233!